Jasper Barnett, a junior at Thomas Jefferson High School for Science and Technology in Alexandria, Va., looks up in the school's planetarium. 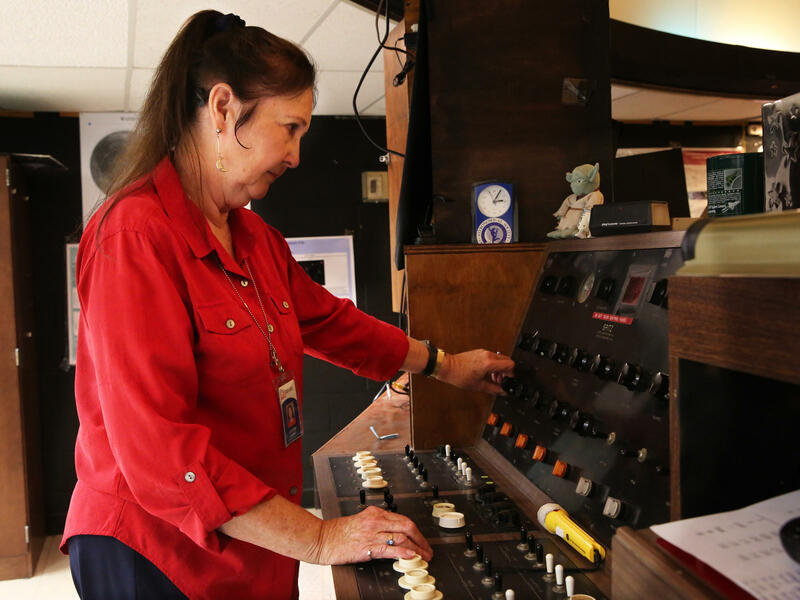 Lee Ann Hennig operates the planetarium at Thomas Jefferson High School. She's been teaching astronomy since 1969. Above this whole room is a large white dome. It's lit up right now — like daytime — but with the turn of a dial, Hennig makes the sun set. As the light fades, stars appear. Just a few at first, and then all of a sudden it's like a night sky, way out in the country. Each little star — thousands of them — shining through a pinhole plotted carefully on that globe in the center of the room. "It's like the sky meeting a movie theatre," says 17-year-old Sahaj Sharda, a senior in Hennig's advanced astronomy class. "When you first sit down and the lights turn off and you just look up, it seems so realistic." To explain how Hennig's high school, and hundreds like it around the country, got a planetarium in the first place, you have to look not into outer space, but back through time. On October 4, 1957, the faint beepings of a small metal sphere marked the launch by the Soviet Union of the first man-made satellite into Earth's orbit. It freaked a lot of Americans out. And Congress, too. The United States, it seemed, was dangerously behind in science and astronomy. The Space Race was on. One man in particular saw in Sputnik an opportunity. Stewart McClure was the chief clerk on the Senate's education committee. In his efforts to win more money for schools, he'd seen several finance bills die. Now he had a powerful new angle: Link education to national defense. In 1958, President Dwight D. Eisenhower signed the National Defense Education Act, which provided the states with over $1 billion in federal money to boost education in science, math and foreign languages. One of the options was to build a planetarium. "It was the first real shot in the arm here for the Space Race growth of planetariums in the coming decade," says Jordan D. Marché II, an astronomy lecturer who has taught at the University of Wisconsin-Madison. There were other planetaria (yes, that's the plural) before Sputnik. Chicago's Adler Planetarium was the first in the U.S. when it opened in 1930. And there were a few after that, but the projectors were too expensive to see widespread use. Until Sputnik. By 1970, the U.S. had 729 planetaria. Over half were in public K-12 schools, the majority constructed with NDEA funds, including the one here at Thomas Jefferson High School. It's been running nonstop since 1967, and Hennig has been its operator since 1988. She started teaching in school planetariums in 1969. Outside, in the real sky, Hennig had assigned her students the night before to observe a rare lunar eclipse. Instead, they were treated to a disappointing wall of gray clouds. But inside, she's got the night sky at her fingertips. Hennig's students will see the eclipse on the dome — better late than never. "In the planetarium," she says, "it's never cloudy." After the eclipse, she turns to a lesson on the stars, her crescent-moon earrings swinging as she works the controls. She uses a laser pointer to circle the brightest ones. Students are whispering. That's to be expected in a room full of teenagers in the dark. But when you lean in, you hear Greek: Polaris. Delphinus. Cassiopeia. They're searching for stars. She hands her pointer to a particularly eager student, 16-year-old Jasper Barnett, and asks him to take the class on a tour of the constellations. "Pegasus is right there," he says, "The great square in the sky. And you've got Andromeda over there." "I had basketballs at my house, but I didn't use them to play basketball with," he says. "I used them to make models of the solar system on the floor in the basement." The 1960s projector has its limits, so in a few months, Hennig's planetarium is going digital — and the school will be able to do a lot more than astronomy. With digital projectors, you can explore not only the very large, but also the very small: from galaxies to plant cells. Not every school can afford that. Many of the planetaria built in the 1960s are still around, but they're getting old. And so schools have a choice: Keep investing in outdated equipment, or shut down. Back in 2005, when Rob Webb was hired as a physics teacher at Pequea Valley High School in Lancaster, Pa., the school wasn't using its planetarium. He brought that one back to life, but says the domes just aren't valued anymore. "The thing is, they're not cheap," Webb says. And with the all the academic pressures on schools, he adds, teachers are focused on "making sure that we're passing the tests and fulfilling our requirements and not spending a whole boatload of money." And he worries that, without planetariums, too few students will reach for the stars. "You never know who's going to go into that planetarium," he says. "My job is to inspire the next crew of scientists." Elissa Nadworny reported this story for radio and Meg Anderson reported for the web. The NPR Ed team is taking a look at classroom icons for our Tools of the Trade series - the slide rule, the Bunsen burner and, today, the planetarium in high schools. There are actually hundreds of planetariums around the country left over from America's Space Race days with the Russians. 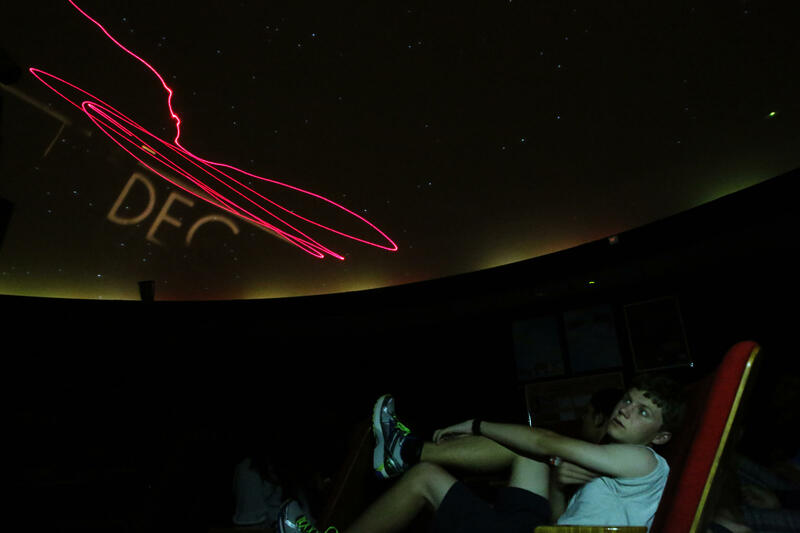 NPR's Elissa Nadworny visited one planetarium at a high school in Virginia. ELISSA NADWORNY, BYLINE: Outside Thomas Jefferson High School, it's just after noon on a bright sunny day. But inside Lee Ann Hennig's classroom, the sun is sliding towards the horizon. LEE ANN HENNIG: Now, let me get your eyes get used to the dark. NADWORNY: Students lean back in plush red seats, looking up. Hennig turns the knob, and a few bright stars emerge above. HENNIG: Over in the east - look in the east. There's something just coming up, yeah? UNIDENTIFIED GIRL: It's right there. UNIDENTIFIED BOY: Ah yes, right there. NADWORNY: This high school astronomy class is learning constellations. There's no clouds, no light pollution, just an amazing array of bright stars projected from a large ball covered in tiny pinholes. HENNIG: Jasper, you want to try taking us on a little guided tour of what we can see so far? NADWORNY: Junior Jasper Barnett takes the red laser pointer. JASPER BARNETT: We've got the big dipper and the rest of Ursa Major. And then - let's see. Where's Cassiopeia? HENNIG: Cassiopeia's up there 'cause that's where - 'cause it's opposite the Big Dipper. SAHAJ SHARDA: It's like the sky meeting a movie theater. NADWORNY: That's Jasper's classmate, Sahaj Sharda. SHARDA: It's not real, but you're seeing the same stars that have fascinated philosophers and thinkers for millennia. And it's a fascinating field. NADWORNY: To explain how this school and hundreds like it got a planetarium in the first place, we have to go back in time to a long time ago in a galaxy far, far away - 1957. UNIDENTIFIED MAN: Today, a new moon is in the sky - a 23-inch metal sphere placed in orbit by a Russian rocket. NADWORNY: That new moon - Sputnik. Launched by the Russians, it was the first man-made satellite to circle Earth. It was the start of the Space Race, and America was behind. ROB WEBB: People were scared. NADWORNY: That's Rob Webb, a high school planetarium director in Pennsylvania. Even Congress was freaked out by Sputnik, so President Dwight Eisenhower signed the National Defense Education Act. The law gave money to schools to boost education in science, math and foreign languages. WEBB So the idea is, let's educate our children to become scientists and engineers who can build the next Sputnik. NADWORNY: One option - build a planetarium. More than 300 schools did. The planetarium in Virginia and the one that Webb runs in Lancaster were built in 1967 using those federal funds. Some have survived, but many have since closed. The machines are old, expensive, and Webb says not many new teachers know how to run them. WEBB: Money just isn't being spent on them. Yeah, it's just not much of a priority anymore. NADWORNY: But the schools that persist - they do it for a reason. 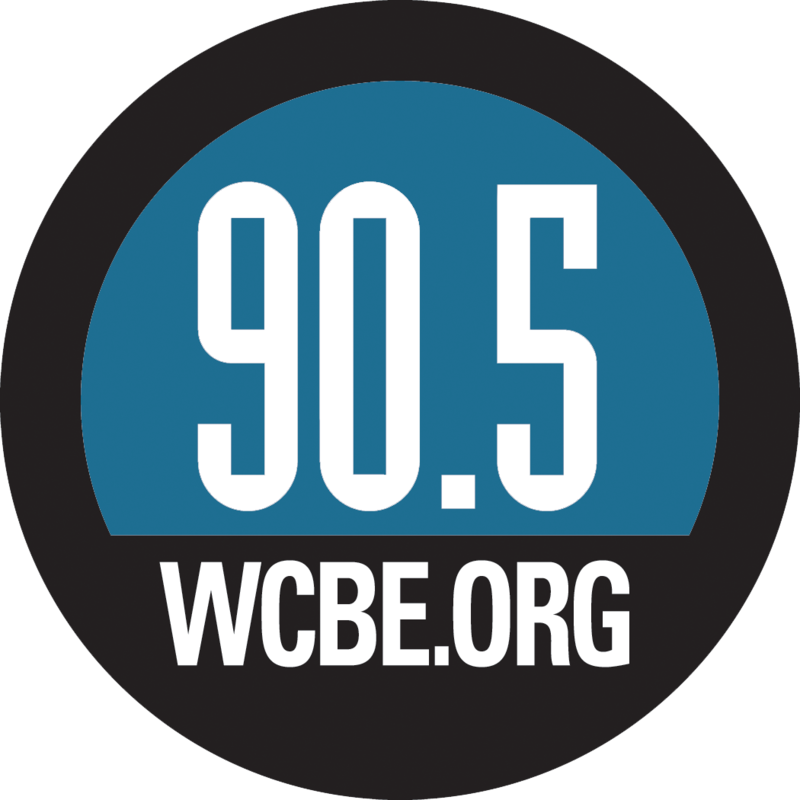 WEBB: We never know who's going to go into that planetarium and be inspired. NADWORNY: To become the next great physicist or the next great astronomer. Elissa Nadworny, NPR News, Washington. Transcript provided by NPR, Copyright NPR.